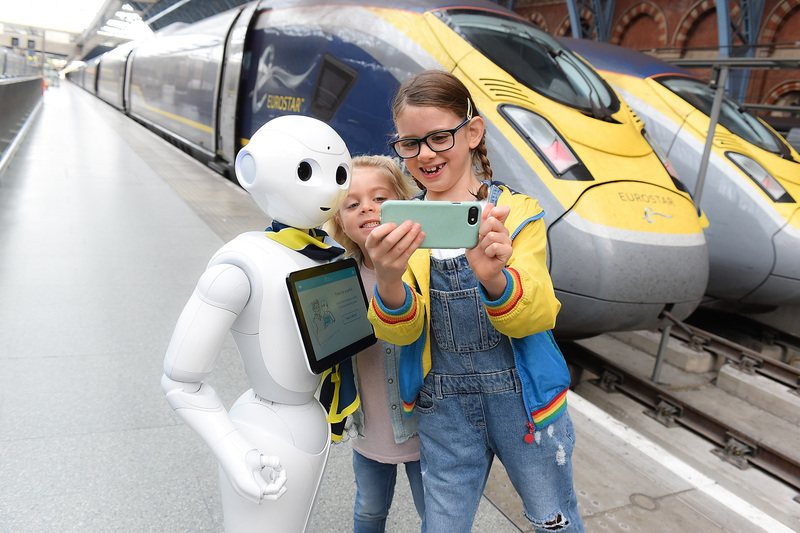 Eurostar, the high-speed rail operator connecting the UK with mainland Europe, today welcomed Pepper the robot to its London St Pancras team. 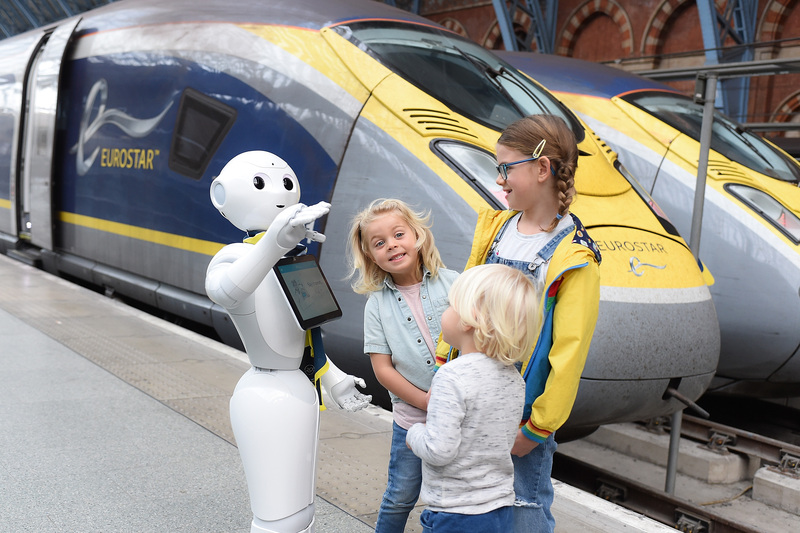 In a first for the UK travel industry, the interactive humanoid robot offers customers, particularly families and children, a fun new way to find out about their journey before departure and entertains younger travellers. Pepper, designed by SoftBank Robotics, is the first robot with the ability to recognise principal human emotions and adapt her own behaviour accordingly. 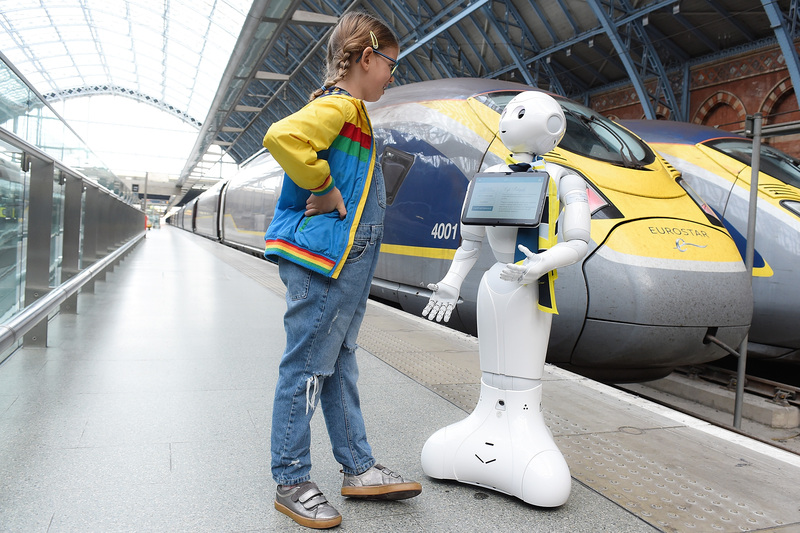 Eurostar has recruited Pepper to entertain and help customers, and in partnership with Robots of London she can respond to questions or even pose for a selfie on request. Located in the departure lounge at London St. Pancras, Pepper will interact with passengers using an inbuilt tablet, where travellers will find an interactive station map, information about the on board experience, as well as a wealth of destination tips for Paris, Brussels, Lille and Amsterdam. The addition of Pepper is one of a range of technological innovations that Eurostar has committed to in order to enhance the customer experience. Later this month, the business is launching Alexa skill, with passengers able to link Alexa to their Eurostar account to track their travel plans and find out the lowest available fare to Paris. SoftBank Robotics is driving technology forward by becoming a worldwide leader in robotics. SoftBank Robotics regroups more than 500 employees working in Paris, Tokyo, San Francisco, Boston and Shanghai. Over 25 000 SoftBank Robotics robots, NAO and Pepper, are used in more than 70 countries worldwide and offer innovative applications relevant for the fields of retail, tourism, healthcare or education. Robots of London is one of the U.K and Europe’s leading robotics companies. We work with multi-national organizations and smaller operations to bring innovation and unparalleled service to a range of sectors, in locations across the globe. Our team of developers set the standard for a number of ‘off the shelf’ software solutions for Pepper the Robot as well as NAO, and we are additionally able to develop bespoke software for hospitality, property, healthcare and retail. Robots of London is proud to be licensed partners with SoftBank Robotics; developing software for Pepper, as well as being a UK and Ireland reseller.